In October 2012, Hurricane Sandy made landfall on the Jersey Shore, wrecking havoc from Cape May to Sandy Hook. With torrential downpours, extensive flooding, and sustained winds as high as 80 mph, Sandy left a trail of destruction in her wake to the tune of 50 billion dollars. 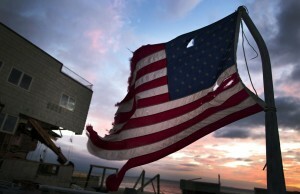 In fact, Hurricane Sandy was the second costliest storm in U.S. History, topped only by Hurricane Katrina in 2005. 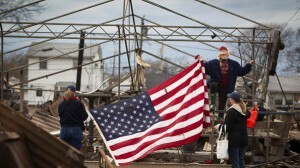 More than 346,000 homes in New Jersey were destroyed or severely damaged. On top of that, New Jersey businesses suffered over 8 billion dollars in storm damages. The road to recovery after Super Storm Sandy has proven to be a bumpy one, as many New Jersey resident will attest. Initial Sandy recovery efforts were hampered by funding shortages and slow insurance payouts, as well as by the sheer scope of the damage done. But the residents of the Jersey Shore have proven that they are stronger than the storm and have committed themselves to restoring the shore. Sandy recovery efforts are still ongoing, with thousands of residents still working to rebuild their storm damaged properties. Further complicating Sandy recovery efforts, flood maps in New Jersey and New York have been updated for the first time since 1983 as a result of the damage done by the storm. In response, insurance agencies have raised the minimum flood elevation for thousands of home owners, requiring them to have their homes raised above the new levels or suffer significant penalties and higher premiums. Fortunately, New Jersey residents are not alone in their Sandy recovery efforts. After the storm, the Federal Government dispatched 2,100 FEMA housing inspectors to storm damaged areas to asses the damage done. FEMA then released over 415 million dollars in grants to individuals and households to help shoulder the cost of rebuilding. This amount was fortified by an additional 3.5 billion dollars in aid awarded by National Flood Insurance Program. While this money has gone a long way toward helping sandy recovery efforts, it only represents a portion of the total dollar amount of the damage done. Whether your Sandy recovery efforts requires elevation or restoration, or both, you should always turn to a trusted and experienced firm for the best results and the fairest prices. Penn Jersey Development Co. has over 25 years experience in home elevation, restoration, and hazard mitigation and is an RREM and HMGP contractor. We can work with you to get the highest grant amount from the government and the largest insurance breaks on your Sandy recovery project. Call Penn Jersey Development Co. and restore your home to its pre-Sandy condition.